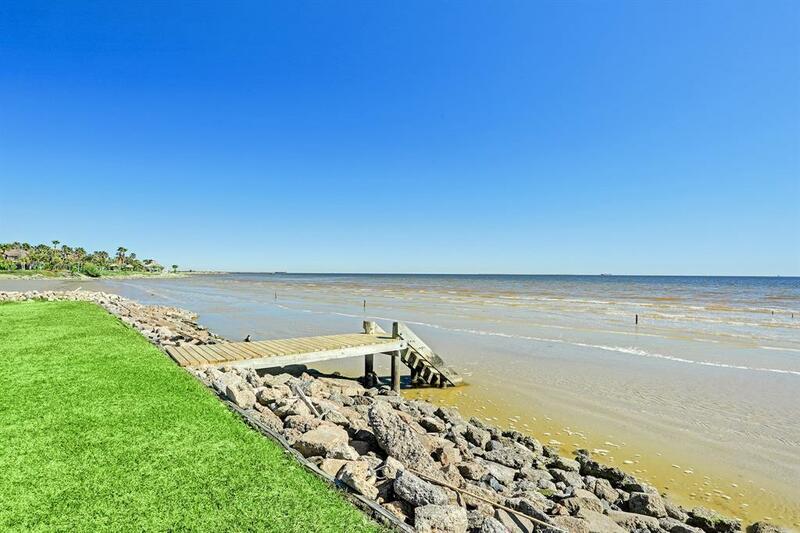 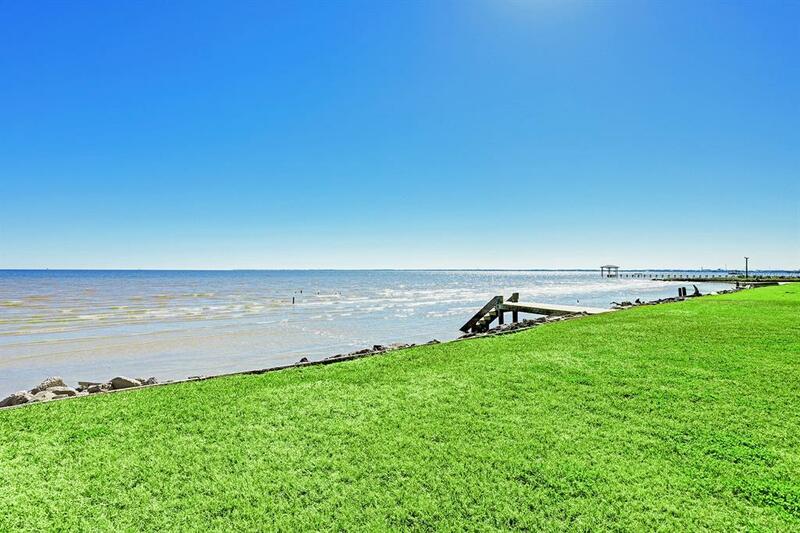 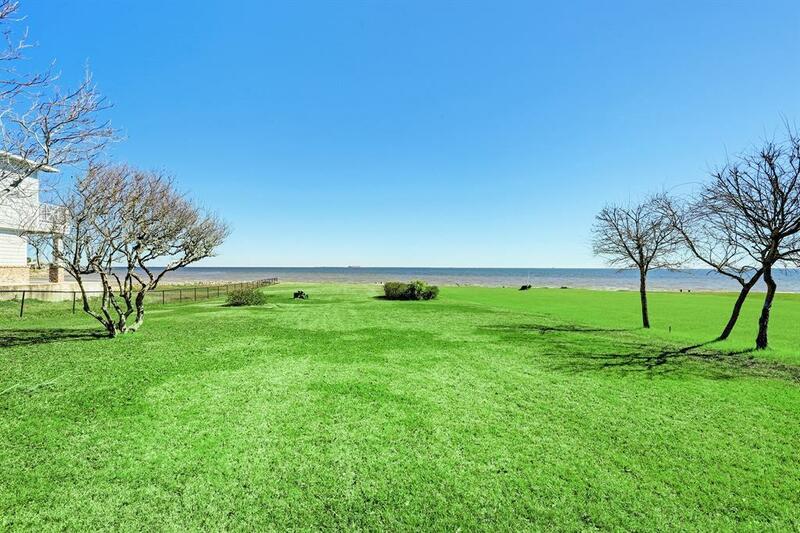 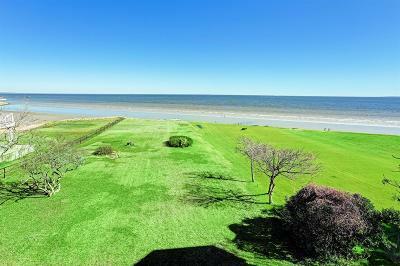 Waterfront on Galveston Bay. 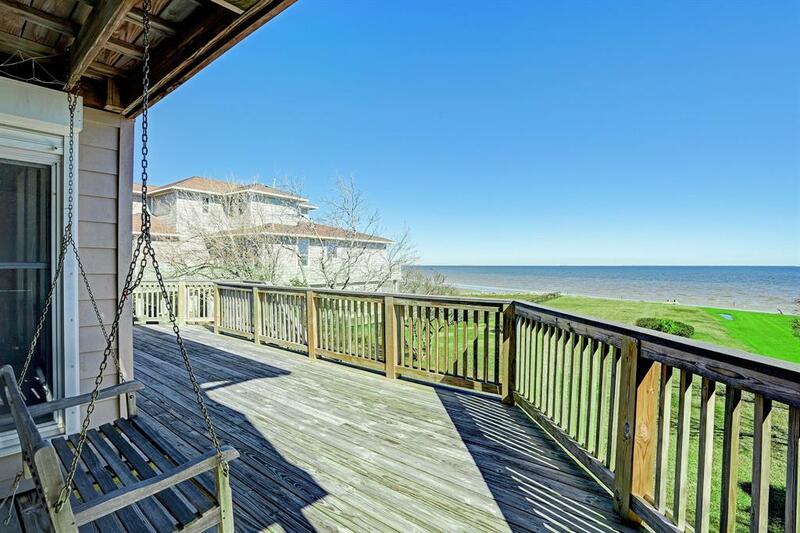 Outstanding home features water views from almost every room. 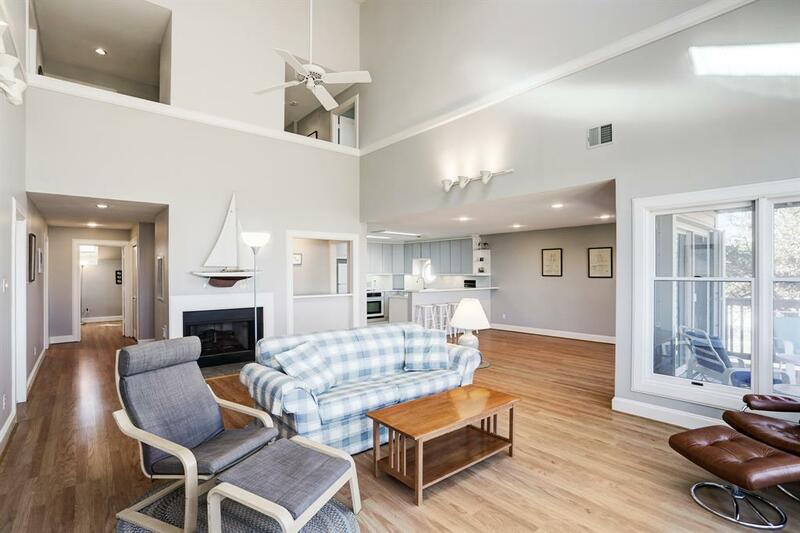 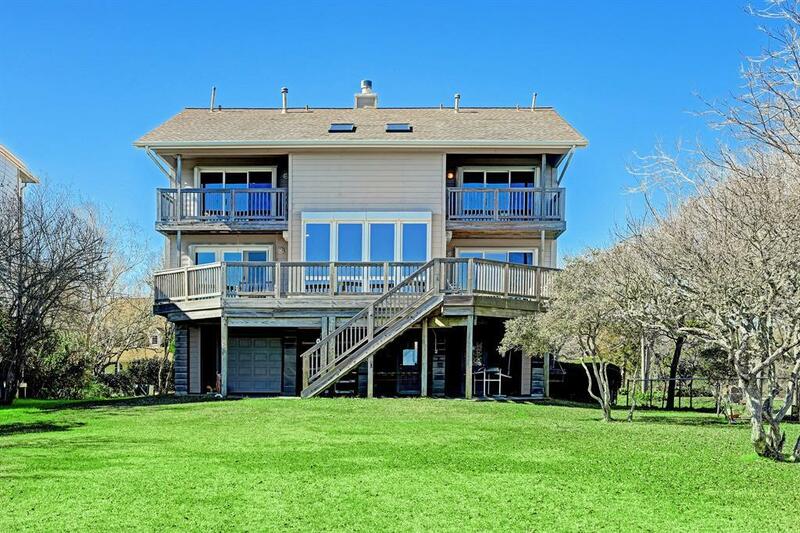 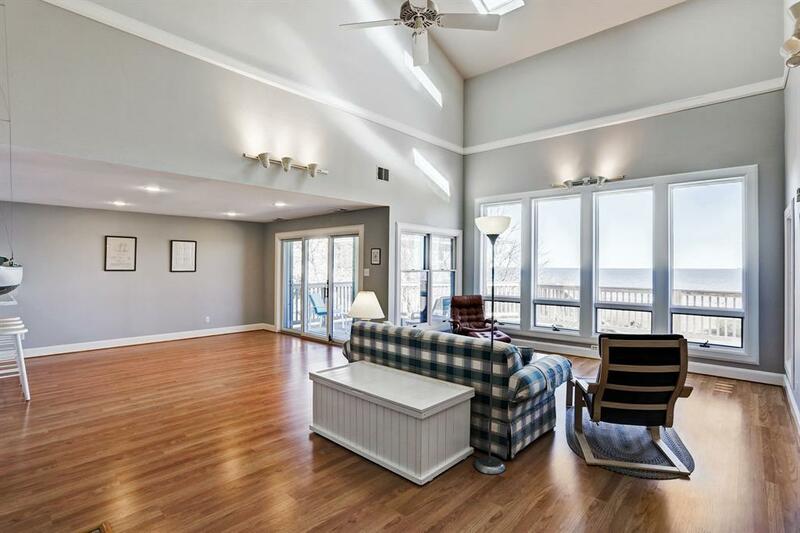 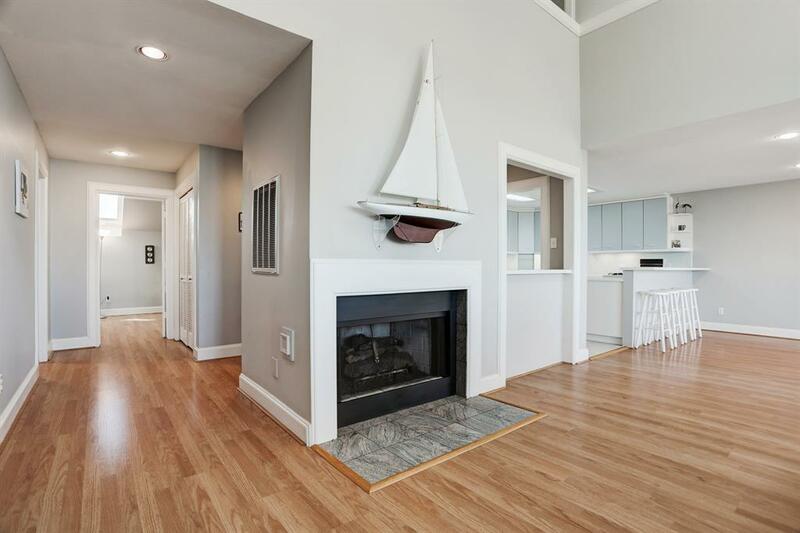 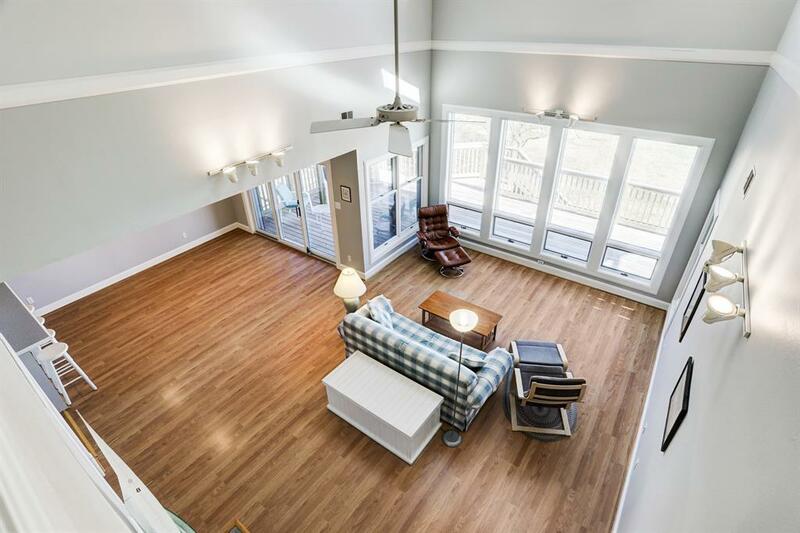 Dramatic 2 story living room and open dining room is an entertaining delight with access to the waterfront deck. 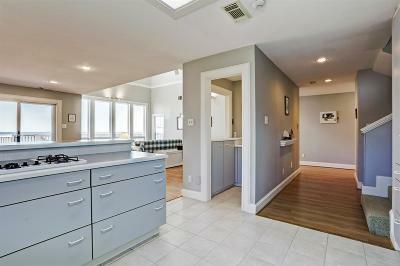 Fireplace and wet bar completes the picture. 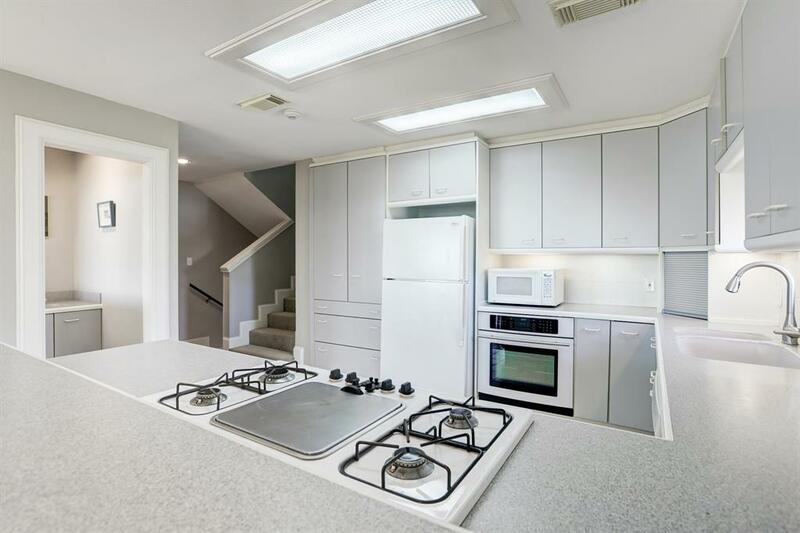 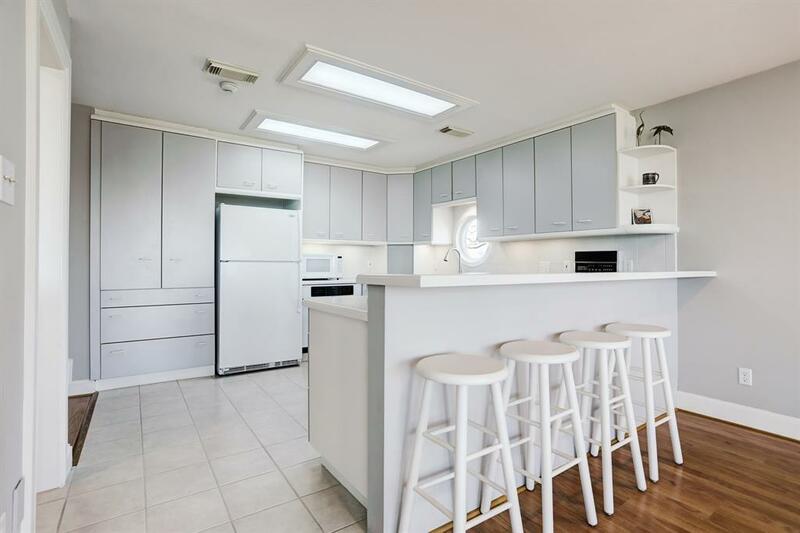 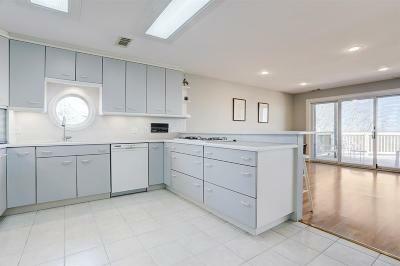 Large kitchen with port hole window for even more views. 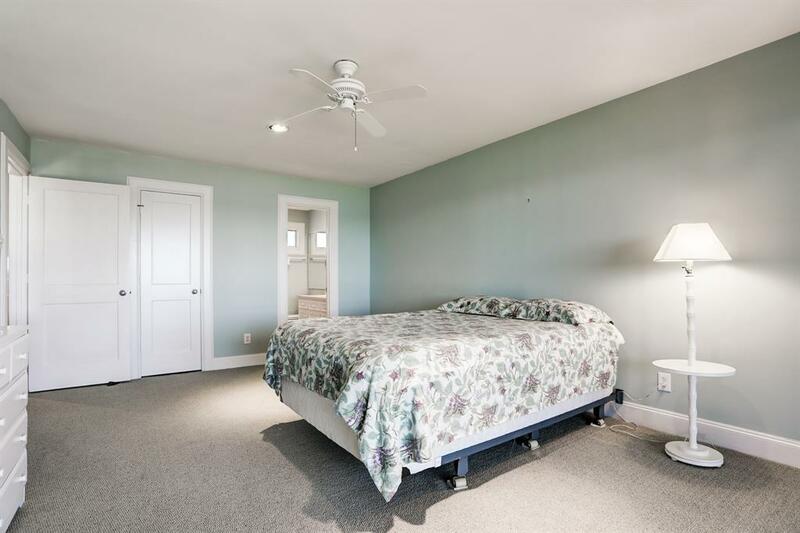 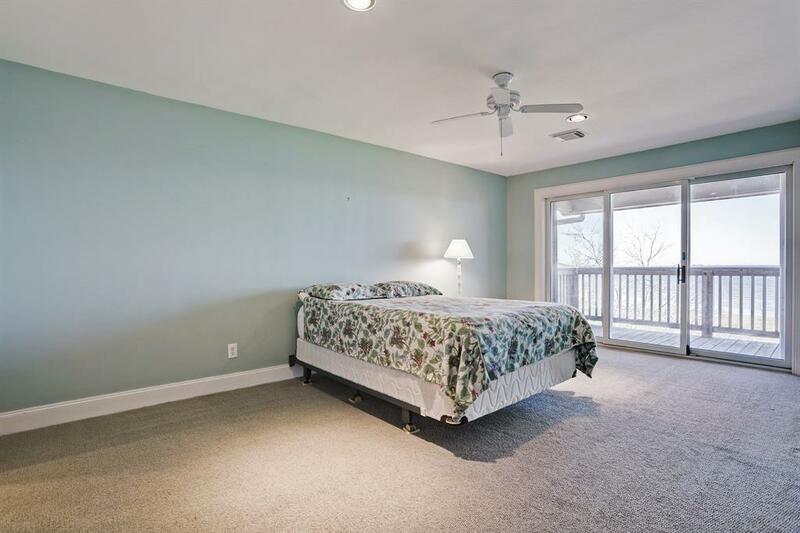 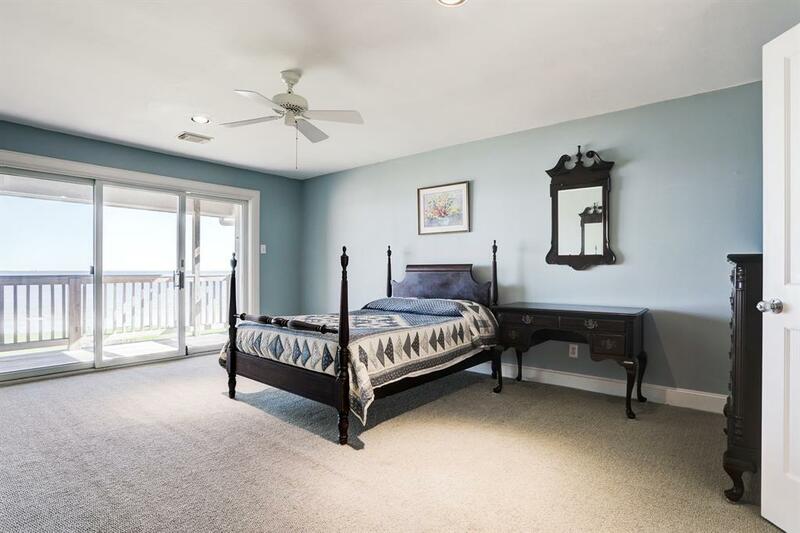 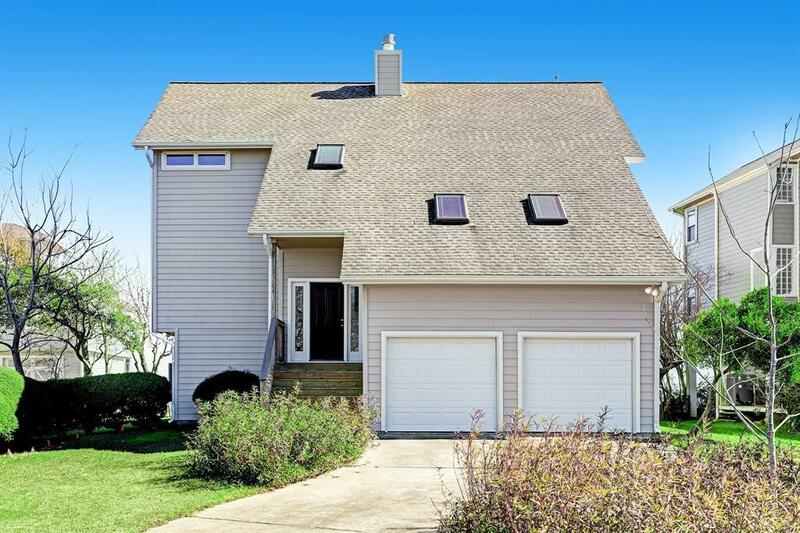 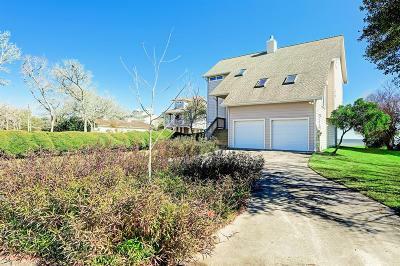 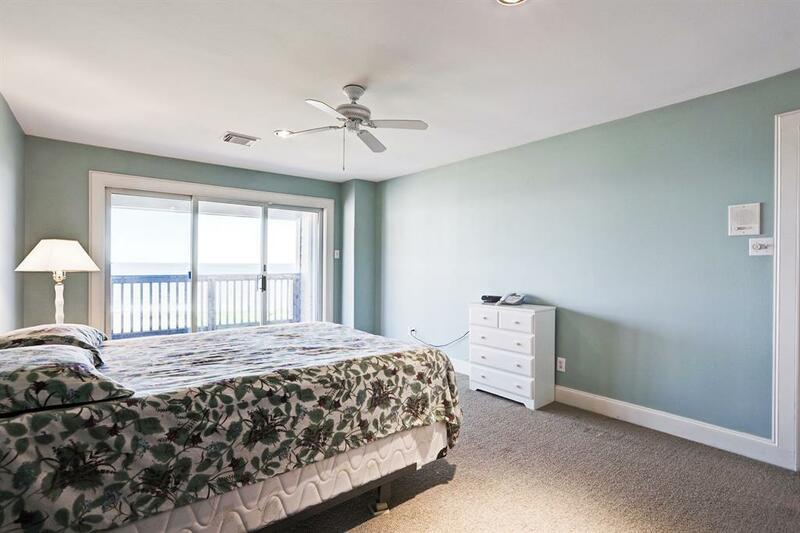 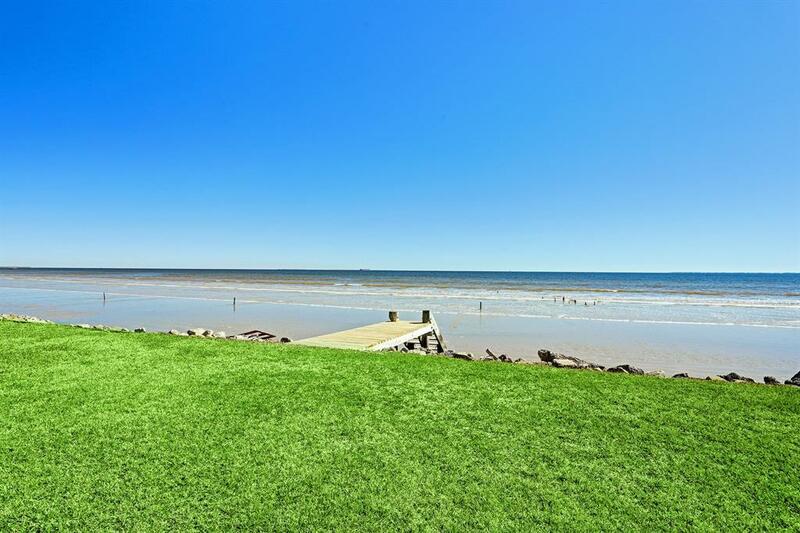 Spacious master bedroom opens to waterfront deck. 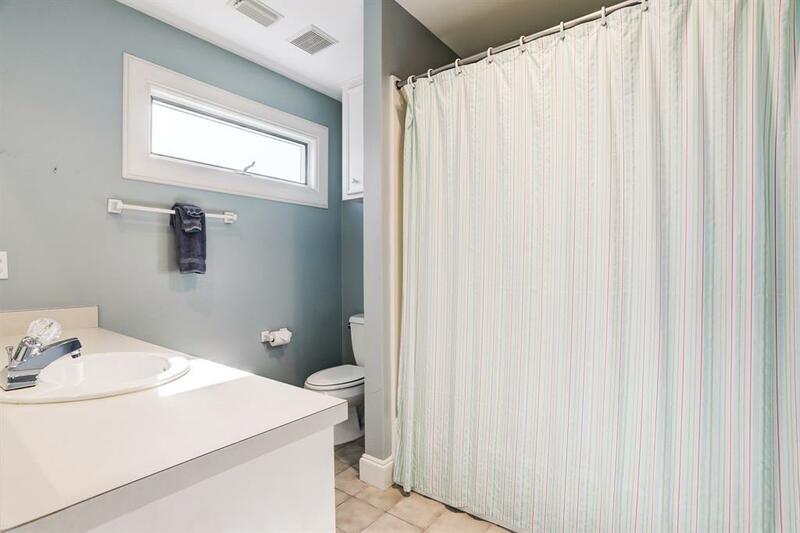 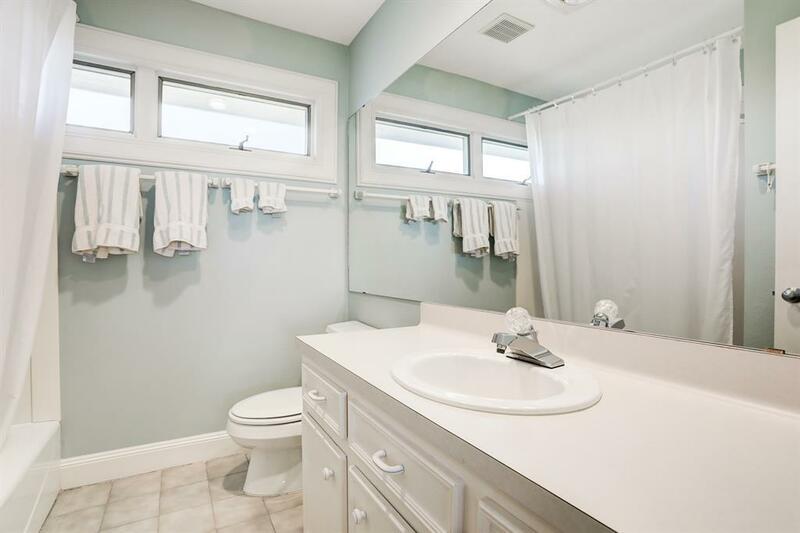 Large master bath with oversized shower. 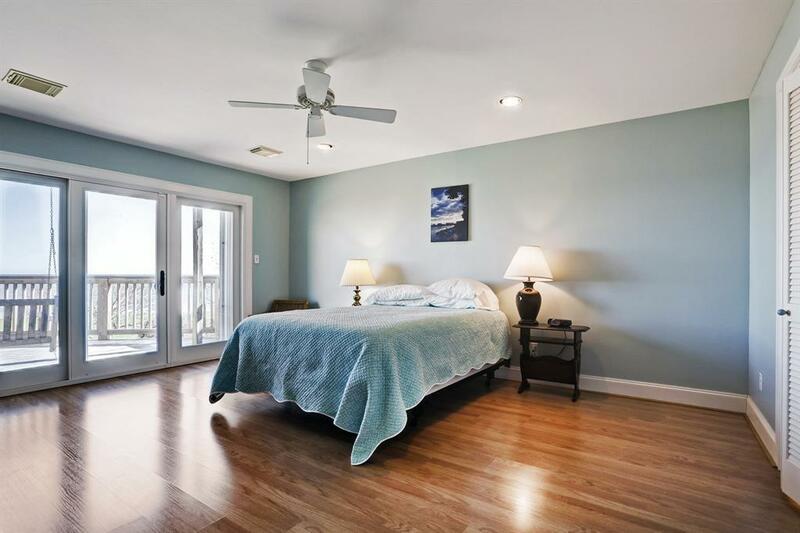 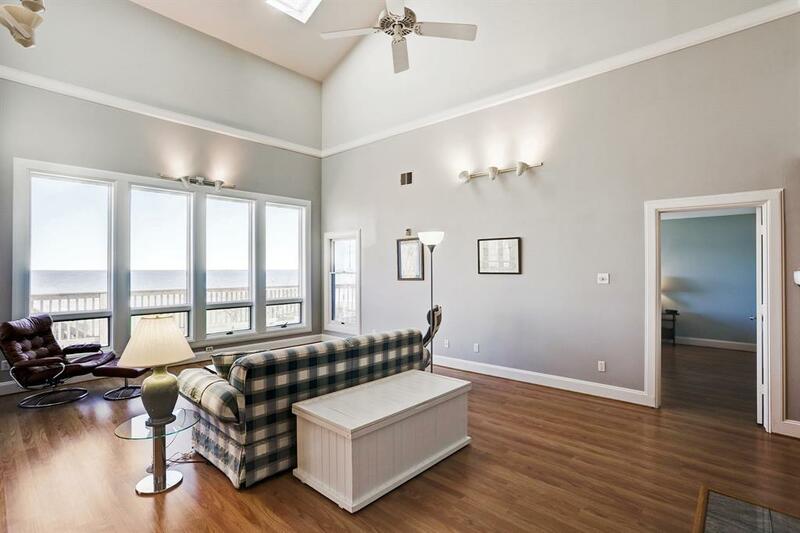 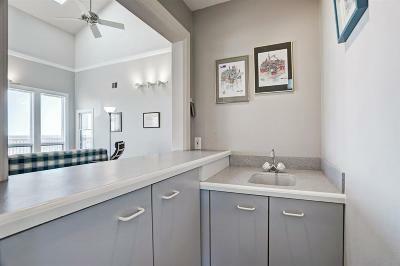 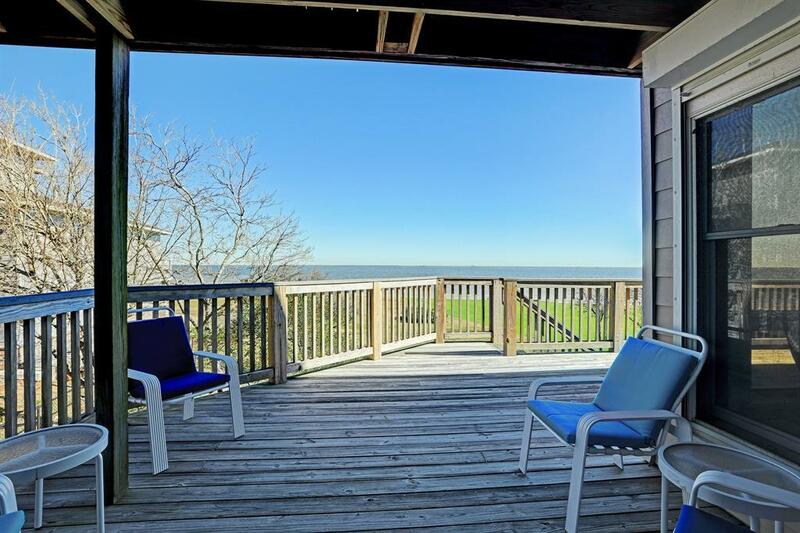 Both additional bedrooms are very large and include private baths and balconies with unsurpassed views of the bay. 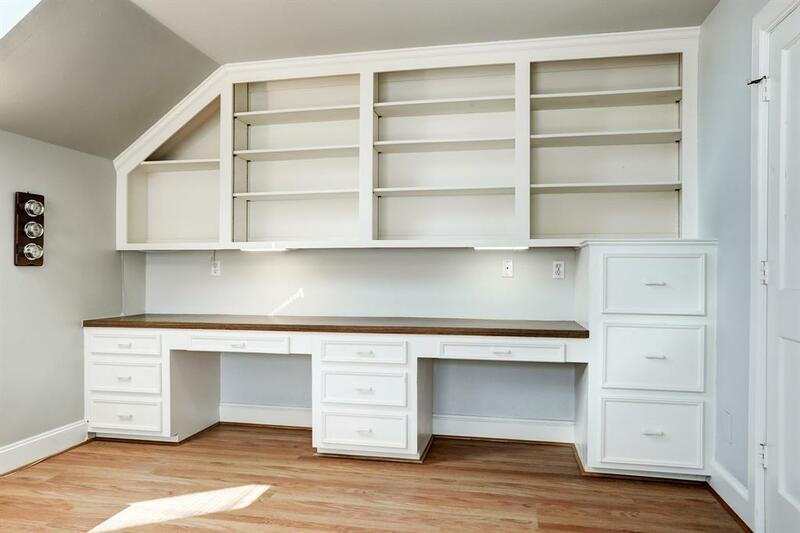 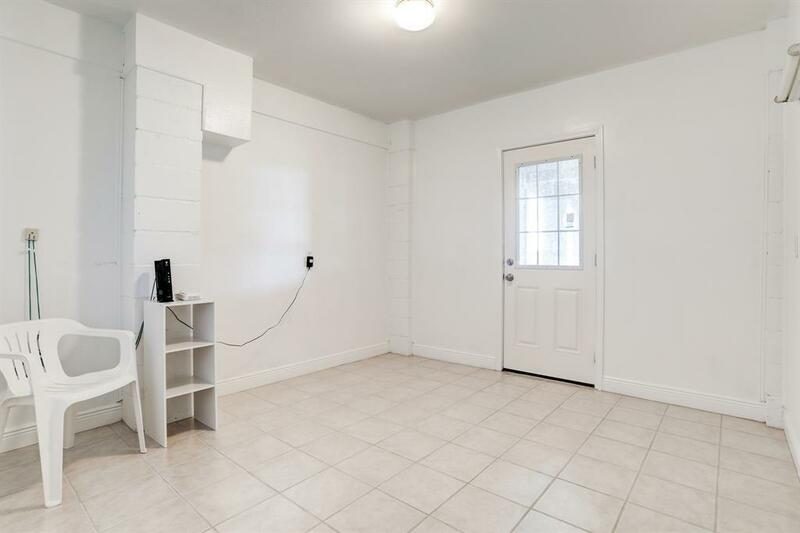 Study (could be 4th bedroom) with built-ins. 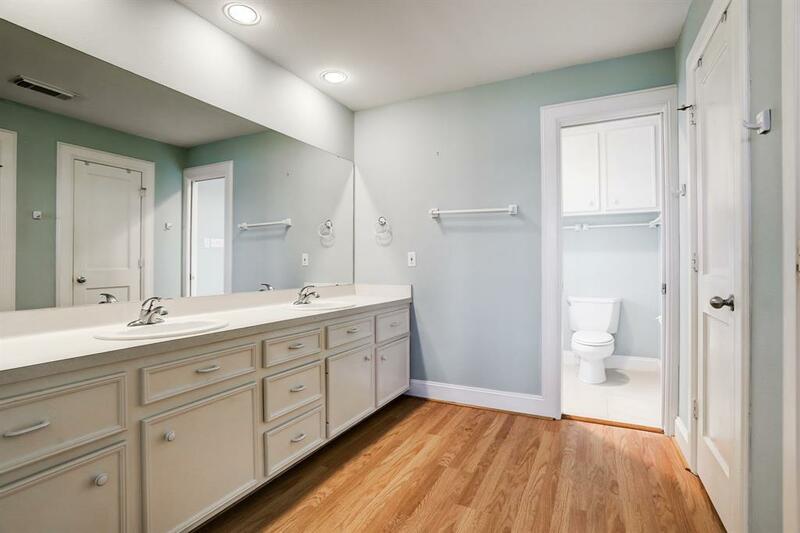 Extra room on the ground level with attached bath. 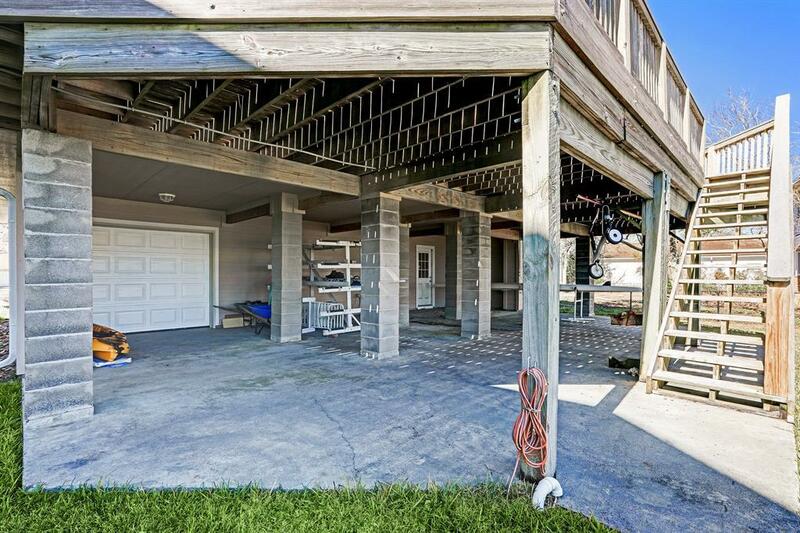 Huge garage with extra garage door on the bay side for boat storage. 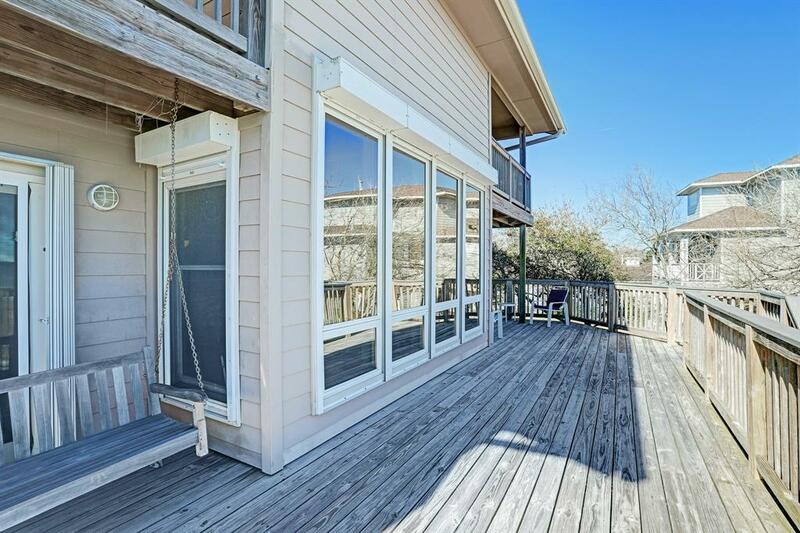 Pier, patios, circle drive this one has it all!